I want to show you some of my more uncommon [here in Europe] roach species. Only under lights more redish than black, but look at the defensive secretion on their last abdominal segments. They are incredible fast runners. 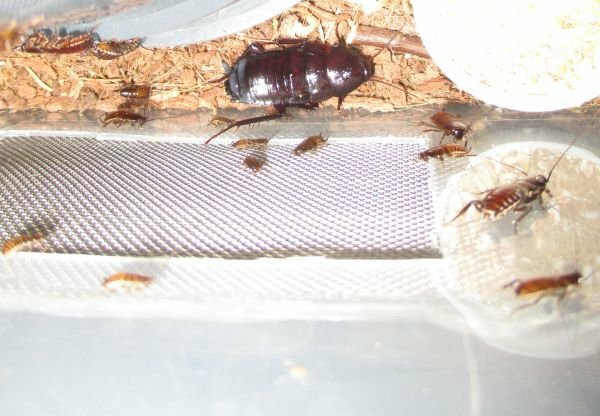 baby cockroaches below their mothers wings for the first weeks. Archimandrita sp. 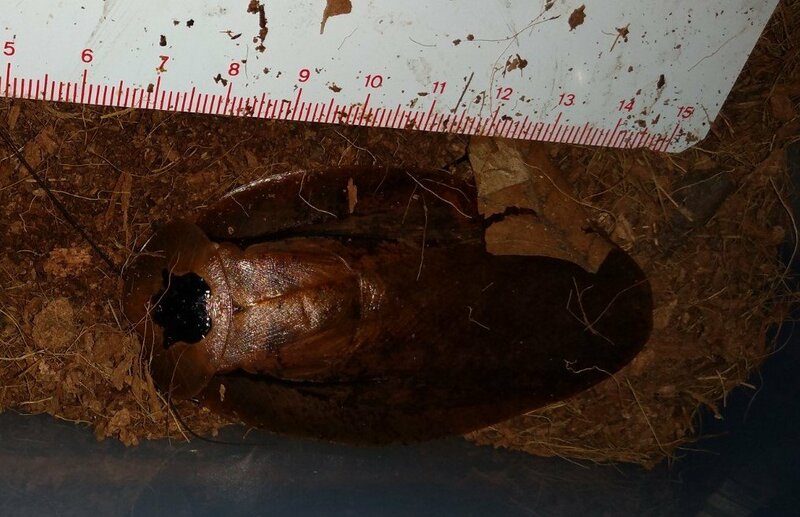 "Cerro Chucanti / Panama"
Real giants with 8cm lenghts from head to wing ends, the female is nearly 5cm broad. Bigger than A.tesselata and looking a bit different. 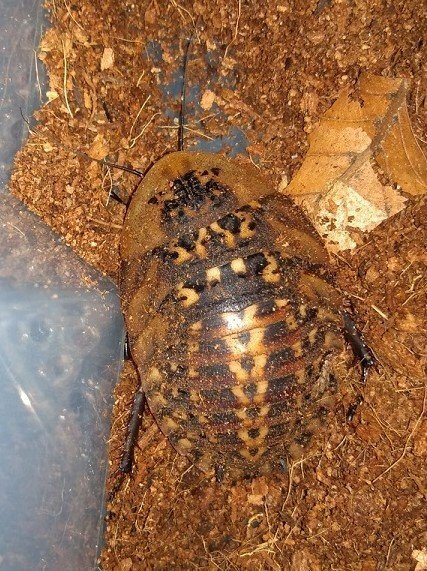 How is the care for Thorax porcellana like? Food, substrate, temperature, moisture etc. Do the nymphs borrow in the soil? Are they active during the day, or the night? How big are the adult? Just asking, because I'll get this species soon. They are more sturdy than I thouht and relative fast breeders. I started with 10 in all sizes. Temperatures I have at 27-28°C and humidity high, 70-80% (rain forest climate). They are night active and hiding in the day. 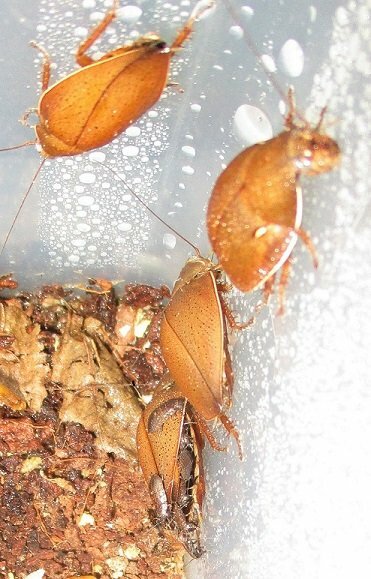 Food like all my other roaches - different sorts of fruits and vegetables, dry cat food with oat flakes. than everything else). Beech and oak is ok, too. I think they eat a lot compared to many other species. be there. Olive oil is better. Redundant to mention - all stages are glass climbers. nymphs could die. And no, not the adults nor the nyphs do burrow. I wish you a lot of fun and good results with the Thorax!